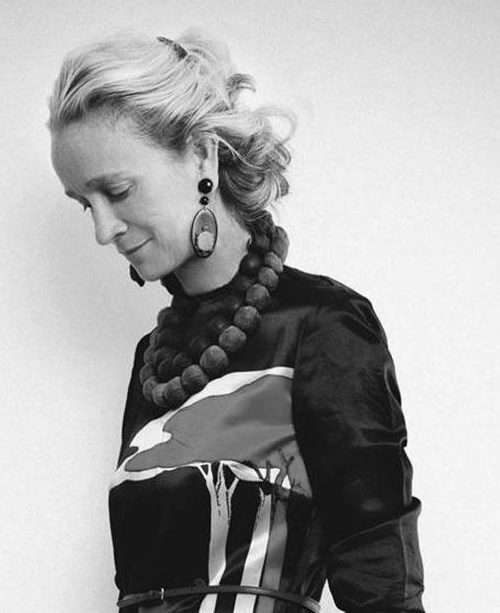 Lucinda Chambers studied at Hornsey College of Art and started her career by selling handmade jewelry on Portobello Market. Lucinda went on to become Grace Coddington’s assistant at British Vogue and later left to become Fashion Director of ELLE when it launched in the UK. Returning to British Vogue under the Editorship of Alexandra Shulman, Lucinda was the Fashion Director for 25 years. Whilst contributing to magazines, Lucinda also worked with fashion houses where she consulted for Prada, Jil Sander, Marni as well as numerous high street brands. Now Lucinda contributes to American Vogue, and other independent Magazines as well as launching a clothing line Colville with co-founders Molly Molloy and Kristin Forss.